The security barrier, built in the midst of the Second Intifada as a way to prevent the onslaught of Palestinian suicide terrorism inside of Israeli cities, has gaps totalling 39 kilometers, most prominently opposite Ma’ale Adumim and Gush Etzion. 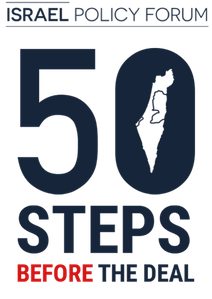 These gaps allow 50-75,000 Palestinians to enter Israel illegally every day and have become infiltration routes into Israel and smuggling routes for weapons back into the West Bank. The planned route of the barrier in these places must be adjusted so as to avoid charges that the barrier is a land grab rather than a legitimate security measure, and the unbuilt sections must be constructed immediately in order to shore up Israel’s defenses against terrorism and crime. Only by taking security seriously, rather than eroding it due to pressure from settlement expansionists, will a two-state solution be viable. On June 6, the Knesset voted down for the third time a proposed bill by opposition lawmaker Omer Barlev of the Zionist Camp mandating completion of the barrier between Israel and the West Bank, which he views as vital for terrorism prevention. Opposition to the bill was led by the three main coalition parties: Likud, HaBayit HaYehudi and Yisrael Beitenu. In explaining the bill he authored, Barlev said it was designed to force the government and the Defense Ministry to complete construction of the barrier within 18 months as a “national priority.” Although the bill specifically states that the sections of the barrier that would be built along some 100 kilometers (62 miles), as well as those already built, would only serve as a counterterrorism measure and “are not an expression of a different diplomatic border line,” the political right is convinced the bill has diplomatic and political significance. 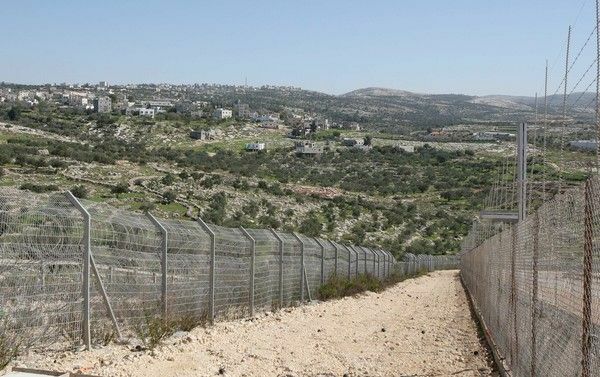 In other words, the right is concerned that an Israeli initiative of putting up a fence that separates West Bank settlements from Palestinian villages around them would constitute an official endorsement of a future border between Israel and a Palestinian state. Israel started building the barrier in June 2002, at the height of the second intifada (2000-2005) in which hundreds of Israelis were killed in Palestinian terror attacks. Until then, the absence of a fence between sovereign Israel and the area it conquered in the 1967 war allowed terrorists to reach the heart of Israeli towns and villages in a matter of minutes or hours. What’s Stopping Israel From Completing the Separation Barrier? The Separation Barrier, the construction of which began in 2002, is one of several contributing factors to the fall in terror attacks committed against Israelis since the second Intifada. There is no doubt that the presence of the barrier serves as a partial deterrent, alongside the very close security cooperation between Israel and the Palestinian Authority. Sixteen years since works on the barrier began, only 60% of the route has been completed. The large gaps in the barrier are regularly used by Palestinians to enter into Israel without permits in order to work, but also by some to smuggle weapons. If someone wishes to commit a terror attack against Israelis, the barrier can easily be penetrated, given it is not complete. Some critics of the barrier argue that its underlying purpose is not security but rather territorial: to annex as much land as possible to Israel which includes the fewest possible number of Palestinian residents. The barrier’s existence, they argue, will make it even more difficult for the two sides to ever reach an agreement.